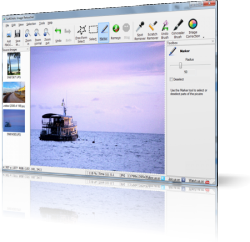 Digital Photo Enhancement Software. Automatic Photo Enhancement Tutorial. We love to take pictures. They are a great way of preserving memoirs. For the years to come, we will be able to reminisce the special moment with these photos. However, we are not always satisfied with the outcome of the photo. Sometimes it comes out with blurred textures, too much brightness, has shadow effects, or it just doesn’t look good and it spoils our mood to take even more pictures. We want to make it look better. Many of the imperfections can easily be fixed with the help of photo enhancement software. This software provides techniques to correct common errors in digital photos. Providing quality photos is what photo enhancement is all about. It brings pictures to a higher level. It doesn’t matter how it looks when you took it, the edge is the quality outcome after the automatic photo enhancement program. Even with age old photos that were damaged due to environmental conditions – exposure to too much heat or humidity, these too, may look good again by enhancing these photos. You don’t have to fret if you don’t know a thing about photo enhancement. Most of the software available in the market have digital photo enhancement tutorial so you can learn the process by yourself. All you need are digital images of your photo and you are now set to begin with editing. Know your priorities and focus on what you want to fix. Be determined on preserving every photo that you have because after several years, it is always good to look back and recall the memories. You don’t need to be an expert to give your photographs a professional finish. All you need is the SoftOrbits Photo Retoucher. This software will do the wonders of creating better looking photos so that you will actually recall the special memories.